Vertical transportation systems such as escalators or elevators are an important part of any commercial property acquisition as they are typically required to provide proper access to the various spaces within a commercial building. On top of being a required access system vertical transportation systems are generally expensive to operate and maintain, and especially expensive to replace and upgrade. A very experienced inspector or reviewer very well may recognize most types and conditions of vertical transportation systems utilized, but often the opinion of a seasoned expert is still beneficial. Although most vertical transportation systems are required to be inspected and certified annually, occasionally unusual conditions or functionality may warrant as an interim inspection by the local elevator inspection authority. Anything beyond simple visual observances of a vertical transportation system are outside the scope of a commercial property inspection or property condition assessment and the best left to the authoritative inspection experts. 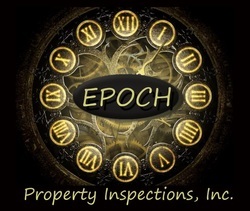 As a with any building system commonly found on a commercial property routine inspection and condition assessment followed by application of proper maintenance materials and techniques is of utmost importance in ensuring the longevity of any vertical transportation system. Examples: elevators, escalators, material lifts, wheelchair lifts, hydraulic lift, traction elevator, integral drives, cabs, control room, machine room, machine roomless, recall, shutdown, firefighter service.